Are you prepared for the ultimate Marvel battle! Join in the race against Thanos for the Infinity Stones with this Avengers: Infinity War Iron Spider Bi-Fold Wallet. 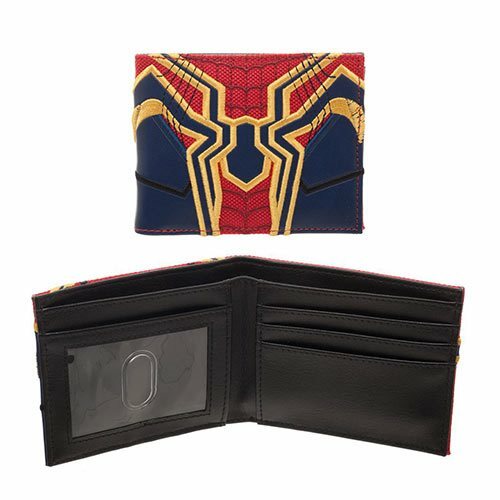 The wallet's stitched design reflects the Iron Spider suit. Includes 3x horizontal card pockets, 2x vertical card pockets, 1x transparent ID window, and 1x full size currency compartment. Ages 14 and up.